While the Newtown Alive project has been showcasing the “courage, dignity, [and] determination” of Newtown’s history, the Center for Architecture Sarasota has taken a different approach. 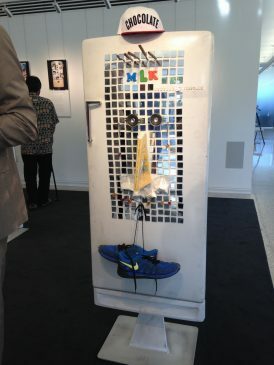 In a recent exhibit, seven architects use photos and mementos to portray “Human Tales on Refrigerator Doors.” Jerry Sparkman, from Sweet-Sparkman Architects focused on interplay between life in Newtown and the encroaching development of Ringling College. Marty Fugate from the Herald-Tribune says it “speak[s] of…the efforts of contemporary architects to transform the neighborhood near Martin Luther King Blvd.” However, the piece is more troubling than that. The exhibit contrasts symbolic materials from both the construction project and the neighborhood, “to suggest that the neighborhood is changing its complexion.” While the Ringling soundstage is symbolized with audio speakers, glass shards, and a book; Newtown is symbolized with bags of white powder, cigarillos, Nike sneakers, and a baseball cap perched on top labelled “chocolate.” These objects are paired with Jerry’s description of Newtown as “historically…a place for drug deals, prostitution, and crime.” The arrangement of these objects, and Jerry’s description, draw a clear association between criminality and blackness—and they are shocking choices for an exhibit ostensibly modelling personal mementos that families hold so dear on their refrigerator doors. 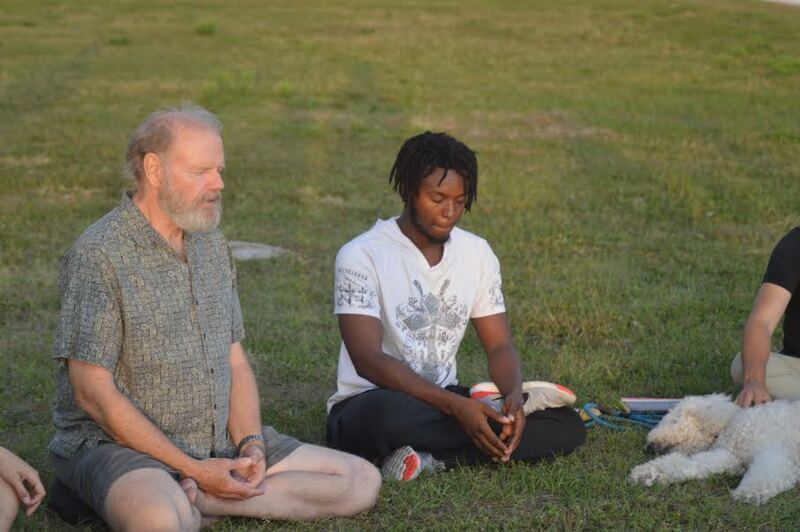 Whether or not those objects can be found in Newtown provides no reason for portraying an entire community as such, especially one that has a history integral to larger Sarasota. And to argue that intentions for this piece weren’t racialized overlooks the stereotypes that have condemned black Americans for centuries and the responsibility one has when presenting a piece like this to the public. During the recent panel discussion, neither Jerry nor anyone on the panel acknowledged the blatant racism. No one on the panel nor anyone at the Center expressed understanding for the few of us who shared our concern and questioned Jerry’s motives. At best, our reactions elicited awkwardness. There was silence, and moments later, there was laughter. 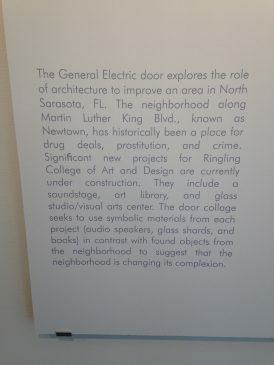 With such portrayals of ongoing development as a cure for white stereotypes about Newtown, we need conversations about the relation between Sarasota’s history and its future now more than ever. The exhibit runs until April 28.